In the last few days we have witnessed strong attacks on Naftali Bennett of the Jewish Home party for ostensibly condoning soldiers’ refusal to carry out orders to evacuate settlements. Almost as if by script, these protesters demagogically argue that any possibility of a soldier refusing orders is a threat not only to the integrity of the IDF, but to democracy as well. Now, what interests me here is not the Bennet case per se, but rather the deeper implications of this issue – in my understanding it must be situated within the broader topic of nonviolent disobedience – which in Israel is also claimed by many politicians to be a “threat to democracy.” I would like to argue for the moral imperative of both civil disobedience and the individual refusal of orders on moral grounds as the defense of democracy. While I have merited living almost my entire adult life in Israel, I grew up in the United States, which, while hardly a perfect democracy, is certainly an older one than Israel. Our democracy is very young, and needs to learn from the example of more veteran ones, including regarding the need to make room for nonviolent civil disobedience and conscientious objection, even on a selective basis. But in our current sad state of affairs, even the mere attempt to introduce these topics into civil or political discourse is met with swift and decisive repression. Without any attempt to claim moral equivalency between the following examples and that of expelling people from their homes, I would like to offer some context for our discussion. In Western philosophy, going all the way back to Socrates, civil disobedience to immoral law is perceived as a fundamental protection of democracy and a means for defending the rights of the minority from the tyranny of the majority. Following the Second World War and the Holocaust, the Nuremberg Trials were obvious proof that obeying immoral orders is immanently immoral, as the Nazi leaders were executed for obeying laws. The civilized world had expected them to disobey these laws, regardless of the legal consequences or peril to their own safety. In the US, in the context of the civil rights movement, long after the abolitionists opposed “legal” slavery, heroes such as Rosa Parks, who sat in the front of the bus, and those who “desegregated” lunch counters in the South, were violating the law. …there are just and there are unjust laws…a just law is a man-made law that squares with the moral law or the law of God. An unjust law is a law that is out of harmony with the moral law…so I can urge men to disobey segregation ordinances because they are morally wrong. While one may of course argue that a distinction can be drawn between soldiers and civilians, ultimately we must agree that soldiers cannot be expected to follow orders that they consider immoral. 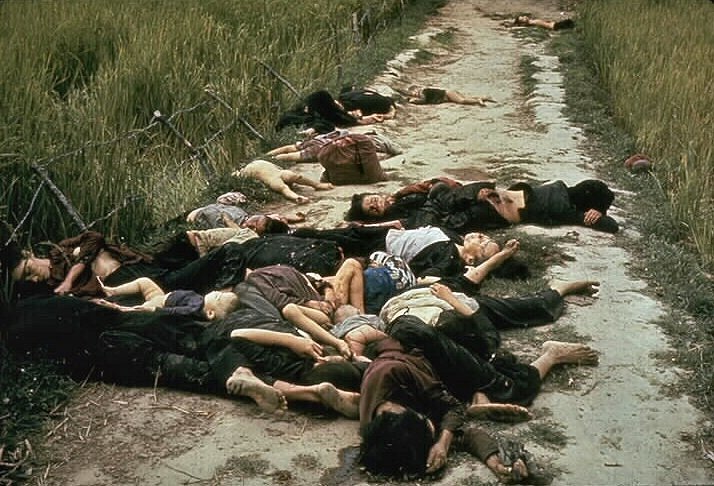 In March of 1968, some 500 Vietnamese civilians, including many women and children, were slaughtered in the village of My Lei by American troops under the command of Lieutenant William Calley. If only his soldiers had refused to follow his immoral orders America would have been spared that moral blight! In this context, I recall the words of my father, a Holocaust survivor. Some years after the massacre, he was asked if he thought a Holocaust could ever occur in America. He aguishly answered that in the past he would have said no, but after My Lei and the subsequent justifications given for it (despite Calley’s own conviction for murder), he could no longer be sure. But, of course, the Jewish roots of civil disobedience are far more ancient than those of the West. When the midwives in the Book of Exodus refused to kill Jewish infants, they were making a conscious decision to violate the law, an act for which God rewarded them. Do not individuals have the right, indeed the duty, to question the morality of their governments’ decisions? Years ago, the Israeli left was quick to point out that any attempt to transfer the Arab population would constitute an immoral order requiring refusal. As former MK Yossi Sarid wrote, “the day of the transfer order…will be the day of disobeying orders.“ I would of course posit the same truth regarding Jewish residents, for whom basic national solidarity should apply, as well as the deeply felt convictions of many regarding the sanctity of the Land of Israel itself. It will be a sad day for Israeli democracy when all soldiers robotically follow orders and give up their right to autonomous moral judgment. Indeed, for me this is much more frightening than the alleged specter of the IDF ceasing to function due to massive insubordination. This right of conscience must of course be sanctioned both for the right and for the left. Those on either end of the political spectrum who choose to act upon this right will probably always be a small minority, with the majority continuing to follow orders in almost every scenario. Unfortunately, certain Israeli government policies, such, as the 2005 disengagement from Gaza and the expulsion of the residents of Gush Katif and Northern Samaria, have been made by decidedly non-democratic means. Part of the process of instituting these policies was a persistent attempt to stifle free debate by creating an atmosphere in which anyone opposing the plan was immediately delegitimized as a “right-wing extremist” or worse. Sadly, the same antidemocratic attacks on anyone who dares to mention civil disobedience or the refusal of orders on moral grounds continues today, fueled by election fever. I hope that this topic will not be brought to the test again. For ultimately, what is at stake here is not only the future of the settlements, but the future of the IDF and of Israeli society at large. One side in this debate does not have a monopoly on concern for the IDF or for Jewish unity. Just as a case can be made for following orders in certain situations, I would argue that sometimes refusal is not only a right – it is a moral imperative.